Qualification: Diploma/ Degree (Relevant Engg Discipline) with relevant experience. Mode of Selection: Based on the performance in Paper-I, Paper-II, Document Verification, Physical Efficiency Tests, Medical Examination & Medical Tests. Last date for online applications: 25.02.2019. Last date for receipt of applications: 25.02.2019. Last date for making online fee payment: 27.02.2019. Last date for generation of offline Challan: 27.02.2019. Last date for payment through Challan: 28.02.2019. Date of Computer Based Examination (Paper-I): 23.09.2019 to 27.09.2019. Date of Paper-II (Conventional): 29.12.2019. Staff Selection Commission will hold an open competitive Computer Based Examination for Recruitment of Sub-Inspectors in Delhi Police, Central Armed Police Forces (CAPFs) and Assistant Sub Inspectors in CISF. For the post of Sub Inspector in Delhi Police only: Male candidates must possess a valid Driving License. Age Limit: 20 to 25 years as on 01.08.2018. Scheme of examination: The examination will consist of Paper-I, Physical Standard Test/ Physical Endurance Test, Paper-II and Detailed Medical Examination. Last date for receipt of application: 02.04.2018. Education Qualification : Must have passed 12th Standard or equivalent examination from a recognized Board or University. Age Limit : 18 to 27 years As on 01.08.2018. Upper age relaxation will be given to reserved category as per the organization norms. More details please go to official notification. Pay Scale : Rs. 5200 - 20,200/- with Grade Pay 1900/2400/-. Selection Process : The examination will consist of a Computer Based Examination (Tier-I), Descriptive Pape (Tier-II) and Typing Test/ Skill Test (Tier-III). How to Apply : All Eligible and Interested candidates may fill the online application through official website http://www.ssc.nic.in before or on 18th December 2017. Staff Selection Commission (SSC), recruitment for the vacant posts of Chemical Assistant : 167, Assistant Archaeologist : 12 etc. application are invited online from the desired and eligible candidates for total 337 posts. Education Qualification : Job finders should have passed 10th / 12th / Diploma / Engineering Degree / Graduation Degree / Post Graduation Degree with good academic records from well recognized Institute / board. Age Limit : 18 to 25 Years (Post 1,2,10,20), 18 to 30 Years (Post 3-8,11-17,19,21,24-27), 18 to 27 Years (Post 9,18,22,23). Pay Scale : Rs. 25,500 - 81,100/- (Post 1), Rs. 5200 - 20,200/- with Grade Pay 2800/- (Post 2,9,18,20,22), Rs. 9300 - 34,800/- with Grade Pay 4200/4600/- (Post 3-7,11-14,17,19,21,24,26,27), Rs. 35,400 - 1,12,400/- (Post 8,16,25), Rs. 19,900 - 63,200/- (Post 10), Rs. 35,400 - 1,12,400/- (Post 15), Rs. 29,200 - 92,300/- (Post 23). How to Apply : All Eligible and Interested candidates may fill the online application through official website http://www.sscnr.net.in before or on 24th September 2017. Postal Address : The Regional Director (NR), Staff Selection Commission, Northern Region, Office of Northern Region Block No.12, Kendriya Karyalya Parisar CGO Complex, Lodhi Road, New Delhi-110003. 14. Which of the following are beliefs of Buddhism? a. The world is full of sorrows. b. People suffer on account of desires. c. If desires are conquered, nirvana will be attained. 1. Who among the following is the Minister of Human Resource Development in the present Union Cabinet? 2. Who among the following defeated Muhammad Ghori near Mount Abu? 4. Which of the following commission was formed in 1983 to recommend the relationship and balance of power between Central and State government? 5. Which of the following is the busiest navigable river of the river? 8. Who was the founder of Nanda dynasty? 9. The chemical used to remove rust stains from cloth? 10. First Prime Minister of India born after Independence? 11. Which of the following acid is used in battery? 14. On which date, the World Milk Day is observed? 15. Who among the following edited and published the newspaper Indian Mirror in 1861? 16. Rohan Bopanna is associated with which of the following games? 17. Which of the following is correct about cold blooded animals? 18. Which country has recently declared a 3- month state of emergency in the aftermath of coup attempt? 21. Which of the following is not considered as a government debt? 23. Michelle Kakade, who has become the first person to compete the "Indian golden Quadri lateral on foot" belongs to which city of India? 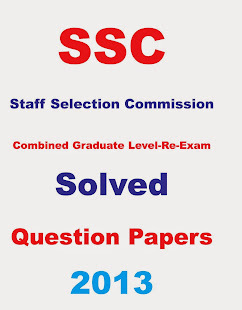 Staff Selection Commission (SSC), announce recruitment of 1102 vacant posts for Scientific Assistant. 1. The World Population Day is observed every year on which of the following days? 2. Which of the following cities was declared India's first World Heritage City by UNESCO on July 8, 2017? 3. Which country's Prime Minister presented Narendra Modi a football representing 'Sustainable Development Goals' at the G20 Summit held in Hamburg in July 2017? 5. Aleksandar Vucic was sworn in as the President of which of the following European countries on May 31, 2017? 7. Who is the present Chairman of the Financial Stability Board? 8. The Deutsche Bundesbank is the central bank of which of the following countries? 10. Who is the present Prime Minister of Norway? 11. Where was the 41st session of the World Heritage Committee held in July 2017? 12. The UN cultural agency UNESCO has added Asmara to its list of World Heritage sites. Asmara is the capital of which of the following African countries? 13. India and which of the following countries have signed two long term support agreements for the Sukhoi Su-30 MKI combat aircraft fleet recently? 14. What is India's rank among the surveyed 127 countries on a Global Energy Architecture Performance Index? 15. Which country topped the 2017 Global Energy Architecture Performance Index? 16. Ellis Island Medal of Honor is the highest civilian award for immigrants in which of the following countries? Awards of Australia (IFFAA) in March 2017? 18. Which organization has launched 'Peace in the Home' program to tackle domestic violence recently? 19. Indira Banerjee is the Chief Justice of which of the following High Courts? 21. Which of the following countries is not a part of the Horn of Africa region? 24. Which of the following has constituted Venture Capital Investment Committee (VCIC)? 25. Which of the following ships served the Russian Navy as 'Admiral Gorshkov'? 26. Which of the following countries is not a member of the Economic Cooperation Organization (ECO)? 27. Where was the 13th Summit of the Economic Cooperation Organization held recently? 28. Who is the author of the book "Defeat is an Orphan-How Pakistan Lost the Great South Asian War"? 29. Which of the following is the capital city of Morocco? 30. Which of the following is the currency of Ukraine? 31. The Small Finance Banks should open what percent of their branches in rural unbanked areas? 33. Who among the following won the Goldman Environmental Prize for 2017? 34. Who won the Singapore Open Super Series badminton men's singles title in April 2017? 35. Who won the women's singles title at the 2017 Singapore Open Super Series badminton tournament? 36. Which former cricketer is the author of the book "Numbers Do Lie"? 38. Vidya Pillai of India is associated with which of the following sports? 39. Who won the Miami Open men's singles tennis title in April 2017? 40. Who won the 2017 Miami Open women's singles tennis title? Staff Selection Commission (SSC) has announced a notification to conduct Stenographer Grade C & D Examination-2017 for the recruitment of Stenographer vacancies. Educational Qualification: Candidates should have passed 12th Standard or equivalent from a recognized Board or University. Age Limit: Candidates age should be 18-27 years as on 01-08-2017. How to Apply: Eligible candidates may apply online through the website. Selection Process: Candidates will be selected based on computer based written exam & skill test. Last Date to Apply Online: 15.07.2017. Date of Computer Based Examination: 04.09.2017 - 07.09.2017.